During his appearance on 60 Minutes, Donald Trump said, “The fact that I have such power in terms of numbers with Facebook, Twitter, Instagram, etc… I think it helped me win all of these races where they’re spending much more money than I spent.” Donald Trump’s presence on Twitter is very strong, and there is no doubt that it helped him achieve victory. 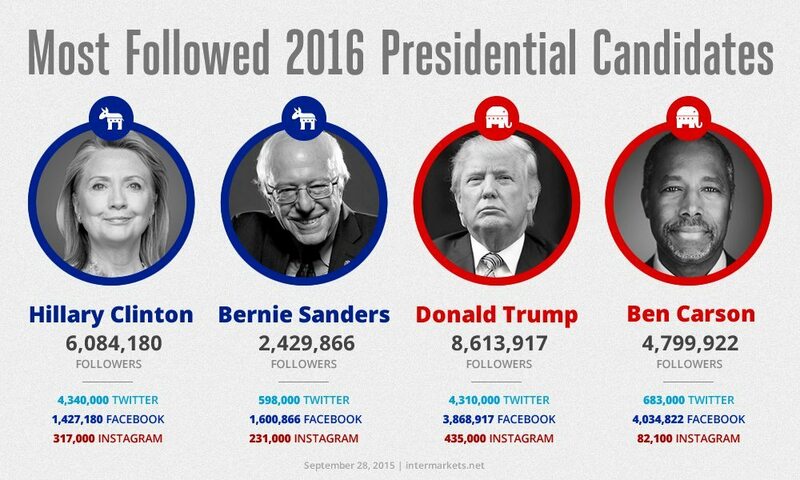 The difference between Donald Trump and Hillary Clinton on social media was that of personality. Yes, Donald Trump may have had some disastrous Tweets, but in the end everyone could tell it was him behind the tweets instead of a publicist of his campaign. Hillary’s social media presence was the complete opposite as her tweets often felt professional and well thought-out rather than spontaneous and personal like Trump’s. Politicians in the past typically followed Hillary’s strategy of carefully crafted publicity, but I think through Trump’s victory we can see the power of personality. In the past, news regarding elections was often spread via newspapers or word of mouth, but in the new technological age we see the impact new technologies have on spreading information. Things like the video of Hillary passing out and the audio recording of Trump would not have been recorded or spread as quickly in the past, but now it takes a matter of hours for everyone to learn about new events such as these. In the end Donald Trump’s victory in and of itself is due to virality. From his popular “Make America Great Again” slogan to his promises of a wall, everything Donald Trump said spread like wildfire and captivated the voters of America. One of the largest news stories right now is some of Silicon Valley’s top platforms, like Facebook and Google, attempting to remove fake news. The problem with this fake news is its potentially dangerous effects, and some say fake news may have impacted the election. When scrolling through Facebook or Google we often see fake news headlines that often grab people’s attention and spread; this issue of fake news was just one of the new issues that arose during this election. Another major new issue that we see being talked about quite frequently right now is that of foreign nations hacking the US and impacting the election’s results. Whether Russia or another country did in fact hack the US is unknown, as well as how impactful these hackings may have been. Nonetheless, this issue has arisen only during this election cycle and will continue to be talked about in both the near and far future as hacking advances and we begin to rely more heavily on electronics. Leading up to the election Hillary was the clear set favorite. Almost everyone in America thought that Hillary was going to win, and for one reason and one reason only: the polls said so. Throughout the entire election the emphasis was on polls and in the end almost every poll had Hillary winning by a landslide, but they were wrong. 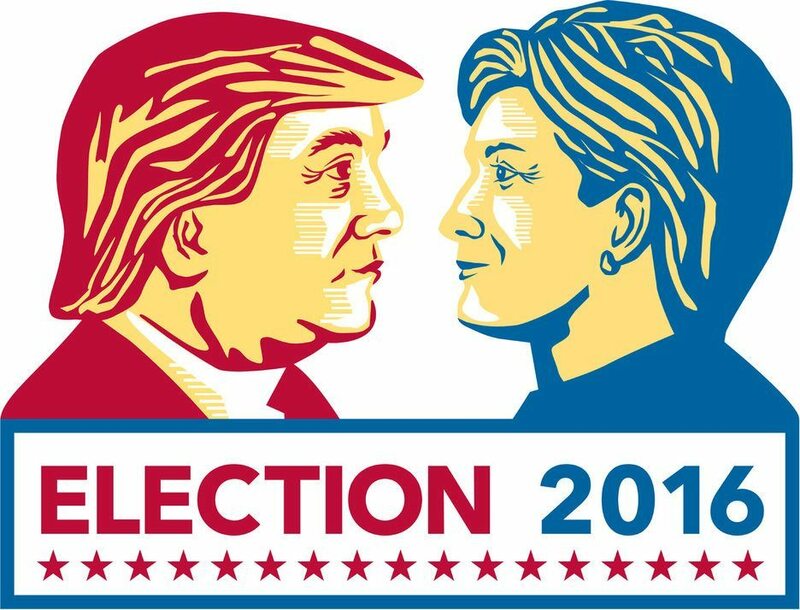 The polls have never been so far off, and it is because the polls rely so heavily on stereotypes and demographics. It is no doubt that there are some relation between demographics and voting trends, but this election showed how fragile that connection is. The polls did not factor in the turnout of the hidden Trump voters and the unpredictable nature of voters, and in the end this is what caused them to be so far off and caused everyone to be so shocked by Trump’s victory. There was no doubt that regardless of who won there would be some outrage from the other side in response, but we never expected this. The reaction to this election was something we have never seen before as widespread protests occurred even at places like the local Los Alamitos High School. The spite for Donald Trump was always evident, but I do not think anybody expected a Trump victory to tear America apart as it seems to have done. Our country is currently very fragile as a result of his victory and it will take some time for everyone to heal, but hopefully he can have a strong, positive presence in office. Some may hate to accept it, but we have to accept him as our president and the only thing left to do is support him and hope the best for this beloved nation. This election was unlike anything we have ever seen before and left America shocked. Regardless, of your political stance we all must hope the best for the future of America and just be patient and wait to see what the future holds.